So While I am broke and can only give away 1 399 pack, I want to do a contest! it doesn't seem like much but It's something! If this goes well I might do more contests with more prizes but until this ends who knows? So here is the backstory. My first ever site contest win was on wiz way back when DS was still new. I had to write a haiku about wiz and won first place! So in honor of that I want to do the same thing. So here is the rules and topic. 2. post in the comments. 4. 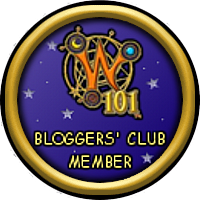 It has to be why you love p101 or wizard101, or about them. 5. NO COPYING. It has to be completely original. So that's it. The time to submit it is by 10/23/18 at 11:59 pm CST. Ill give you a leeway of 11 min (12:10 am CST) but that's it. If your comment is up right away don't worry, i'll be getting on later that day. and approve those who met the deadline. but that's pretty much it. I can't wait to see all your entries! Cya in the spiral! Reason: While my friends was good, I found duncan's better. It really spoke to me about p101.